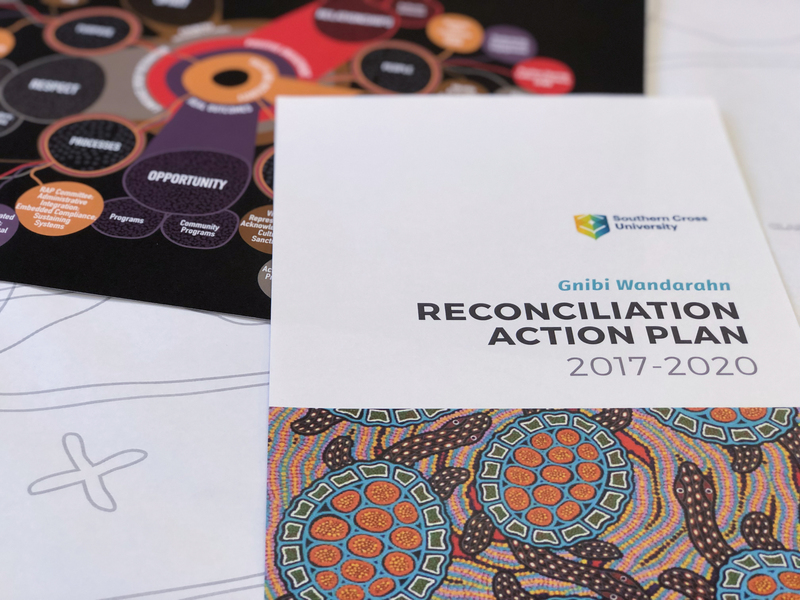 In Nov 2017 Staff, students and members of the local Aboriginal and Torres Strait Islander and non-Indigenous community of Southern Cross University and friends celebrated the launch of the University’s inaugural Gnibi Wandarahn Reconciliation Action Plan and associated Indigenous Strategies. This RAP Plan is ground-breaking in that it places Indigenous Knowledge at the forefront of the plan, to be celebrated as a legitimate discipline of knowledge production alongside the likes of other university fields like engineering. The Plan was lead by Head of GNIBI and Waradjuri man Professor Norm Sheehan. 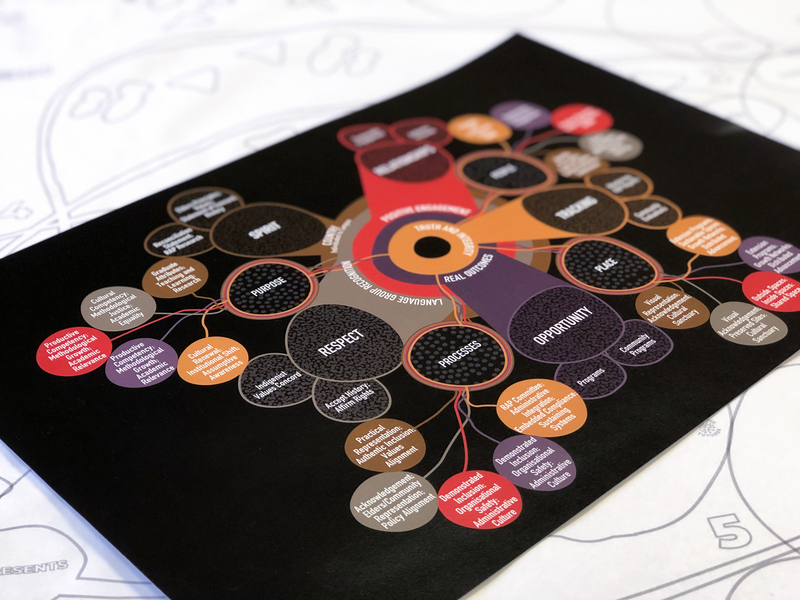 Relative Creative have worked with GNIBI for a number of years now, including in strategic mapping sessions and curriculum development. When Norm asked us to work on the RAP plan we knew it was an important project to be respected. Norm worked with Tristan on a relational map that captures all the elements of the plan in one double-page spread. Tristan developed a mapping system in which all themes are visible in the spread but can also be read in isolation on single page spreads. There is a Reconciliation Action Plan Live Broadcast Video that captures the opening speeches, and you can download the RAP plan from there too.